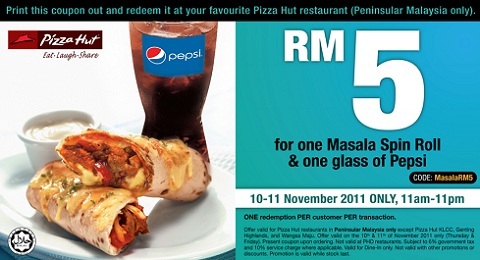 RM5 for one Masala Spin Roll & one glass of Pepsi! at your favourite Pizza Hut restaurant (Peninsular Malaysia only). ONE redemption PER customer PER transaction.